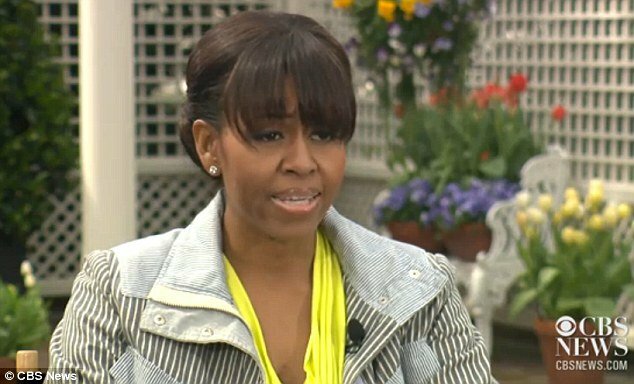 During a televised interview last week First Lady Michelle Obama accidentally called herself a single mother. Michelle Obama was talking about healthy foods as part of her ongoing Let’s Move! initiative and made the slip when she was discussing how the demands of raising a family can leave little time for nutritious cooking in a CBS interview. Michelle Obama’s remarks came the same day that the President was criticized for remarking that California’s Kamala Harris is the ‘best looking attorney general’ in the country. Though Barack Obama is obviously busy, leaving much of the child-rearing on Michelle’s shoulders, she does have a good idea about what she is talking about. When Barack Obama was a Senator and living in Washington, D.C. during the work week, Michelle raised the two young girls on her own in Chicago.